What is wrong with these men? 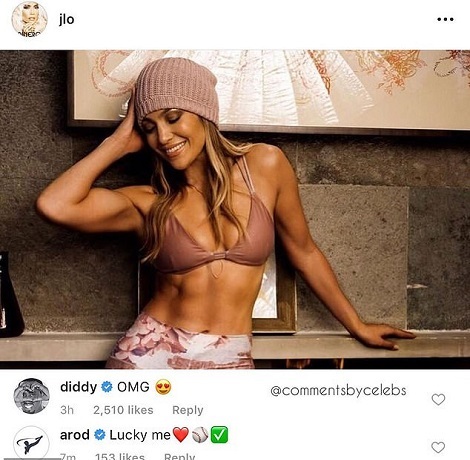 Opps sorry, what is wrong with Diddy? Why is he so polygamous in nature, lol. Sheybi you have left her now, even later dumped Cassie after 12 years, shior lol. So Jlo posted a picture of herself baring her abs on Instagram and modeling her activewear for Niyama Sol. The post garnered a lot of attention as expected. 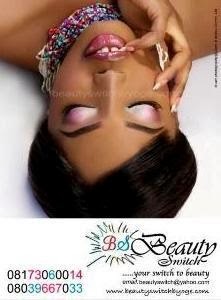 But one unpleasant one (lol) was the one of her ex, Diddy who is... well ofcus still has eyes for her. (Don't tell me, he is just gushing over her nothing more, no Diddy is polygamous in Nature. See when Kim Porter died? See how he has been showing her undying love after death o, meanwhile you left her for another woman knowing you love her deeply? go joor). 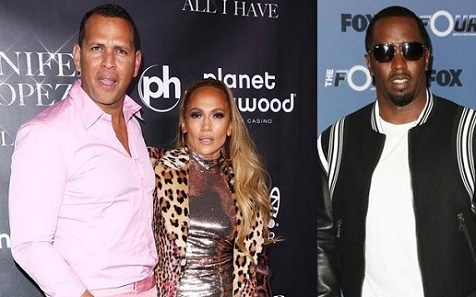 Her current boyfriend Alex Rodriguez however has nothing to say than 'Lucky Me' which infact is more than a whole paragraph, lol. Lopez dated Diddy for two years before calling it quits in 2001. After forming relationships with a few other famous men—including Cris Judd, Ben Affleck, Marc Anthony and Casper Smart—the two-time Grammy nominee started dating Rodriguez in 2017.